Water leaks can contribute to structural damage and often indicate a deeper problem with your plumbing system. 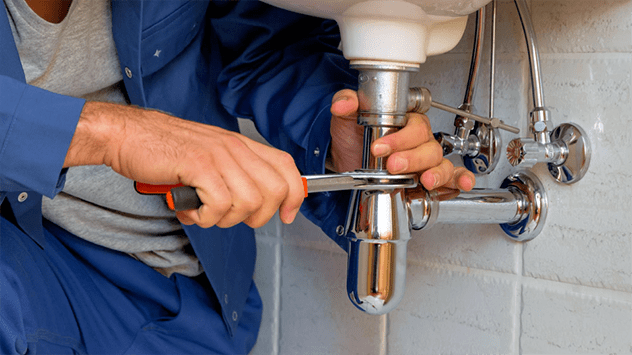 Plumbing emergencies can arise when you least expect them. You might go to take a shower and find no water, or just cold water. Or the toilet may overflow with dirty water. Leaking kitchen pipes could cause a mess. While you can fix some minor plumbing issues, other incidents require a professional’s help. 3. Clogged toilet: Human waste and paper can cause toilets to clog. If you can’t unclog it yourself, you would need to contact an emergency plumber service. Emergency plumbers are ready to serve you 24 hours a day, seven days a week. 1. Before you attempt a plumbing repair, turn off the main water supply. 2. Prepare the tools. Make sure that you have everything you need for the procedure before you start repairs. 3. Dress accordingly. Plumbing is messy; you will get dirty and wet in the process. 4. Keep the phone number of an emergency plumber service handy in case anything goes wrong or you can’t fix the issue.